In the 2016 Republican primary that Mark Harris lost narrowly to incumbent Robert Pittenger, a third candidate, Todd Johnson, won the mail-in absentee vote in Bladen County with 221 of 226 votes cast. Johnson’s “consultant” in Bladen County was a convicted felon named McCrae Dowless. This year, Harris’ team hired Dowless and got an even more lopsided result in the primary in May, defeating Pittenger with 437 to 17 in mail-in absentee ballots. It’s very hard to believe Harris didn’t know what was happening even if he’s maintaining plausible deniability and the Red Dome guys are willing to go to jail for him. The Red Dome guys. The Red Dome Group lists Charlotte as a primary base of operations, with officers in Wilmington, in Montgomery, Ala., and in Washington, D.C. Hilariously, their motto (displayed in blood red, no less): "We Know What It Takes To Win!" Among the other "accomplishments" they're willing to tout on their website ... Dale Folwell's win as NC Treasurer in 2016 and the congressional career of Mark Meadows in the NC-11. 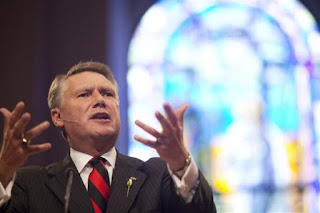 According to Mills, Reverend Mark Harris paid Red Dome $400,000 "for field services," which is a hell of a lot of field services and a nice wad of "walking around money" for people like McCrae Dowless.